Hijab is the duty of every Muslim girl. Hijab is basically a kind of veil. Muslims girls’ cover their body completely while before stepping out of the home. Hence in ancient times, Muslims girls used to cover their selves with the large size black color blanket or other black color cloth which completely hide their body. Now we are living in the most advanced time and fashion is the wish of every girl even if she is Muslim or non-Muslim. Therefore now girls wear new-fashioned Hijab to cover their body and also to get a stylish look. Professional Hijab & Elegant Sunglasses have the best combination. If you wear Hijab then you have to wear lovely and fashioned sunglasses to remain on the first list of fashion of 2018-19. Many girls get confused while shopping and selecting the right sunglasses to wear with their Hijab. Mainly girls get prey of confusion because of so many shades of colorful sunglasses having a lot of different shapes and appearance. While shopping for sunglasses or matching them with your Hijab you have to face these types of confusions and problems. But don’t get tens. We will guide you that how to match the combination of Professional Hijab & Elegant Sunglasses in the right way. Different types of glasses are in fashion in the list of up-to-date fashion. Therefore girls are showing their interest in stunning and standard sunglasses. 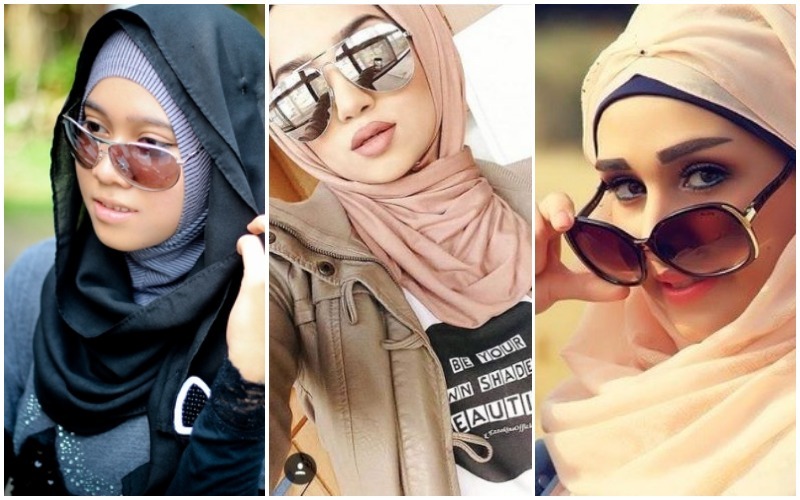 In this article, we have posted the best and perfect glasses with completely matches with stylish Hijab and make the statement “Professional Hijab & Elegant Sunglasses” complete. Many girls must have to wear glasses because of their weak eye-sight, but many girls wear artificial fashion glasses to make their appearance and look more professional and attractive. These glasses not only add beauty in your personality but works as a protector from the dangerous rays of sun. Transparent or zero glasses are getting attention among girls especially among teenagers because of its funky look. There are also many types of sunglasses such as cat-eye sunglasses, zero and mirror lens sunglasses trending and considered as cheap and finest fashion trend.